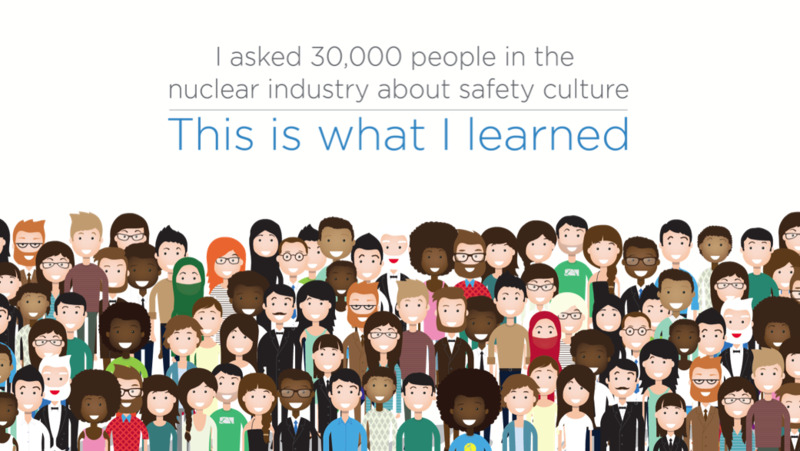 Efforts to monitor and continuously improve safety culture have led nuclear industry leaders to task ORAU with performing periodic, comprehensive safety culture evaluations of their workforces and practices. By using written surveys and electronic surveys, focus groups and one-on-one interviews, ORAU gained input from 30,000 workers over six years, which resulted in valuable feedback on the effectiveness of safety programs and initiatives. Workers desire an environment where they are respected for their expertise, acknowledged for their contributions and informed about the reasons behind decisions. For each customer, ORAU follows up with recommendations to help managers and supervisors influence the perceptions, attitudes, behaviors and performance of the workforce. The most common areas of concern center on leadership behavior and communication. Subsequent improvement actions reinforce strong management systems, decision making and leadership behavior; personal accountability for safety; and communication and reporting of safety concerns. 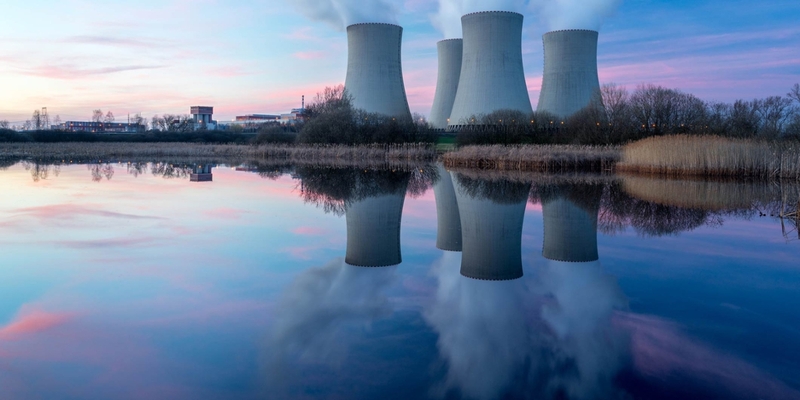 By following recommendations and taking effective safety culture actions, leaders are able to make data-driven decisions that help them stay on the leading edge of safety management of high-hazard work. 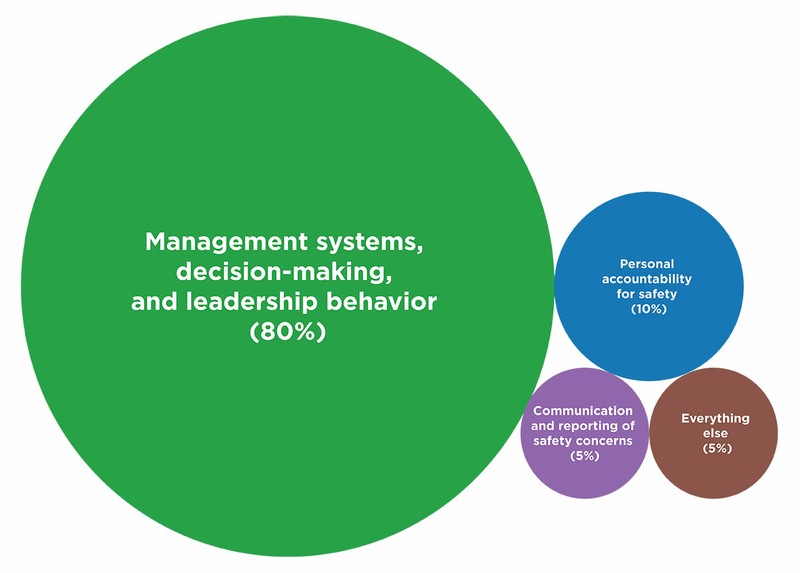 An organization’s management systems, decision making and leadership behaviors play an tremendous role in in employee perceptions of safety culture. Eighty percent of employees surveyed say leadership matters, more than eight times greater than personal accountability. 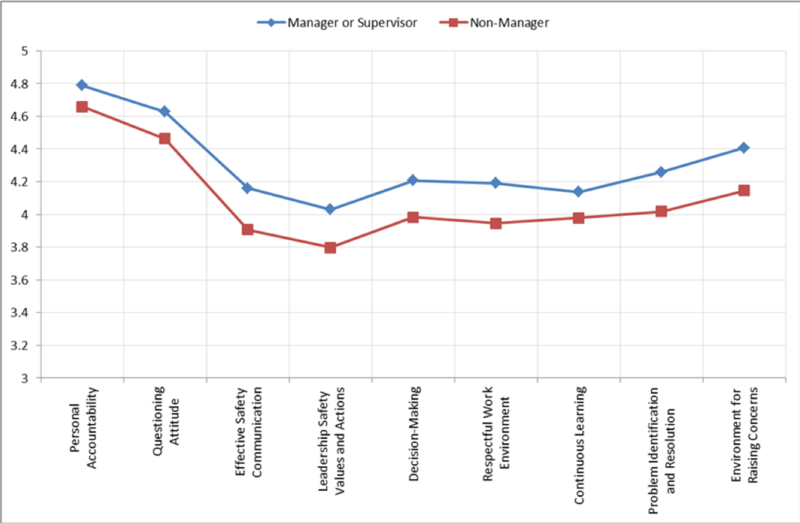 Management’s perception of safety culture is always higher than the perception of employees in any workplace. Senior management always believes it does a good job of communicating through all levels of an organization, but employees don’t see communication the same way.